This year’s Earth Science Week theme is “Visualizing Earth Systems”. 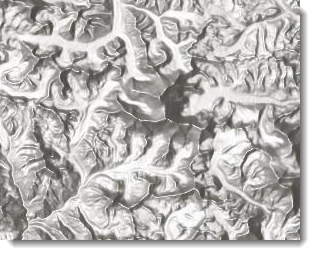 The ArcGIS Living Atlas of the World is a vast collection of authoritative and ready-to-use content and a great resource for Earth Science geographic information. 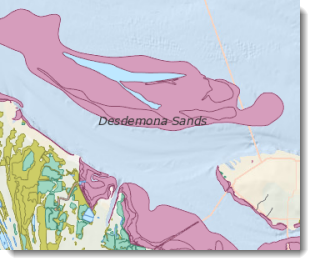 Below are ten of what we think are the most interesting Earth science layers and applications in the Living Atlas. 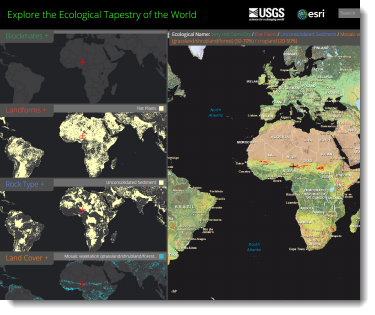 For a complete guide to accessing and using them, see esriurl.com/eluwhite. Lithology is the chemistry, mineral composition, and physical properties of rocks. 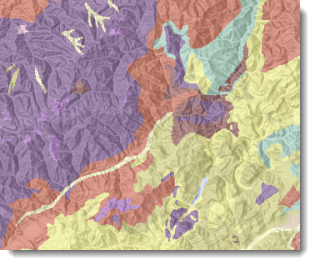 Lithology provides insights into the formation and productivity of soils, agricultural suitability, the movement of water, and other important properties of the environment. 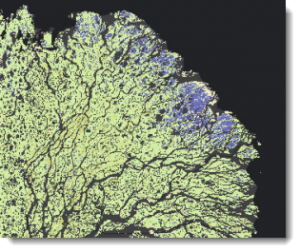 The geographic data for this layer was derived from the Global Lithological Map (GLiM) and was created by researchers at the University of Hamburg Institute of Geological Sciences in 2013. 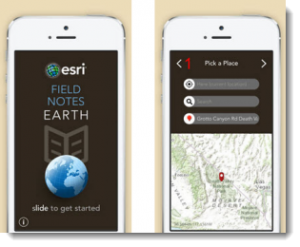 Clicking on this app’s map will display information about the physical setting for ecosystems. Wherever you click on the map, places with similar ecological character will be highlighted to show how that place is rare or common. 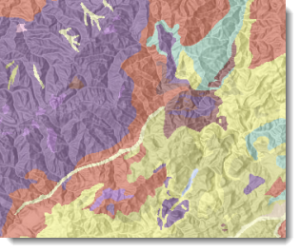 This app gives professionals and anyone interested in ecology insights into the drivers of ecological character by showing how bioclimate, landforms, lithology, and land cover intersect across the landscape. Click to Learn more about the map and Ecological Land Units research. 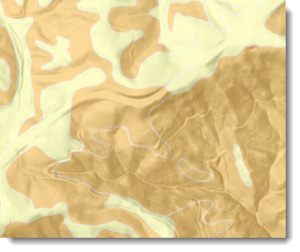 Soil mapunits are the basic geographic unit of the Soil Survey Geographic Database (SSURGO). 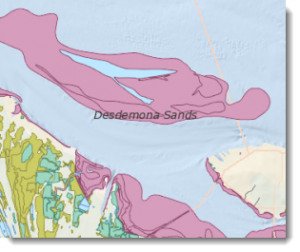 The SSURGO dataset is a compilation of soils information collected over the last century by the Natural Resources Conservation Service (NRCS). 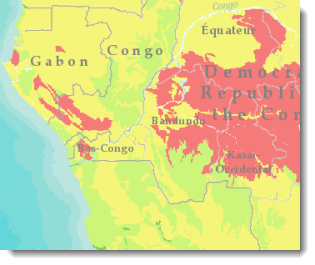 Mapunits delineate the extent of different soils. 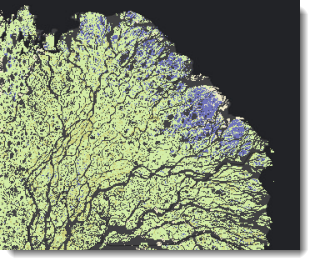 Data for each mapunit contains descriptions of the soil’s components, productivity, unique properties, and suitability interpretations. 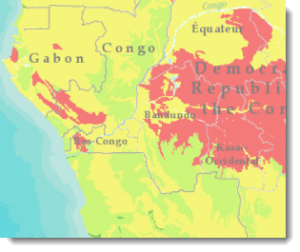 To make maps featuring Earth Science information, it is often necessary to show how the earth is home to what is being shown. 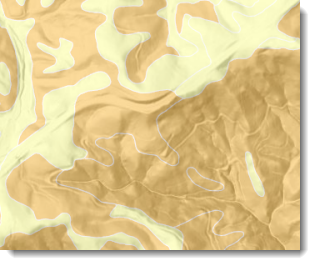 A multi-directional hillshade provides a beautiful and robust context for Earth Science information. 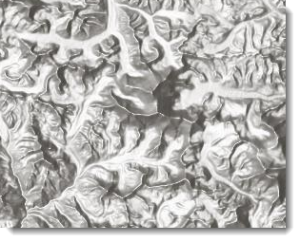 To create this effect, elevation data is processed from six different sun angles and azimuths to create shading that describes landforms from all directions. This makes visual interpretation with full terrain context possible, and enjoyable. 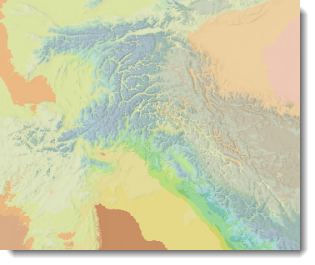 Land cover data are a descriptive thematic surface representing the characteristics of the land’s surface. This includes densities of developed areas, agricultural lands, and natural vegetation regimes. 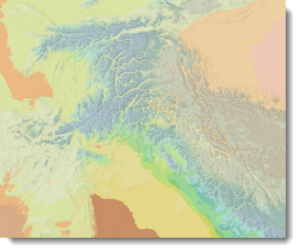 Land cover data are the result of a model and process, so a good way to think of the values on the map are as the estimated predominating type of activity on the landscape. This data was created by MDA from Landsat 8 imagery from April 11, 2013 to June 29, 2014. This dataset comes from the U.S. Fish and Wildlife Service which states: Wetlands provide a multitude of ecological, economic and social benefits. They provide habitat for fish, wildlife and a variety of plants. Wetlands are nurseries for … fishes and shellfish of commercial and recreational importance. Wetlands … hold and slowly release flood water and snow melt, recharge groundwater, act as filters to cleanse water of impurities, recycle nutrients, and provide recreation and wildlife viewing opportunities for millions of people. Climate plays a major role in determining the distribution of plants and animals. Bioclimatology, the study of climate as it affects and is affected by living organisms, is key to understanding the patterns of forests and deserts on the landscape, where productive agricultural lands may be found, and how changes in the climate will affect rare species. Bioclimates are represented as the combination of Growing Degree Days and Aridity Index, representing heat and moisture, respectively from 1950 to 2000. The mineral composition of underlying rock, the amount and type of organic material from plants and climatic and other environmental factors affect the chemistry of the soil. Chemical composition and processes determine how and what type of soil forms at a given location and what type of agriculture the areas will support. Citation: FAO/IIASA/ISRIC/ISSCAS/ JRC, 2012. Harmonized World Soil Database (version 1.2). FAO, Rome, Italy and IIASA, Laxenburg, Austria. Landforms are large recognizable regions containing features such as mountains, hills and plains. They are an important determinant of ecological character, habitat definition and terrain analysis. Are you an Earth Sciences educator? 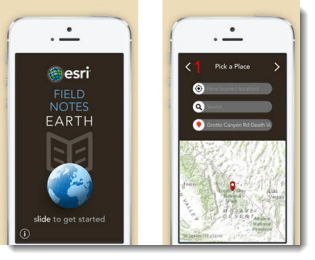 Check out what the Esri Education Team has also shared for Earth Science Week.